AJ Taylor can provide your Sussex property with a full CCTV package from bespoke installation to design, carried out by fully qualified and professional engineers that will leave you with a level of 24/7 protection. Working together with the client to create the best solution for them, we will make a full assessment of your property or site before recommending the best installation strategy for optimal coverage providing ultimate peace of mind. 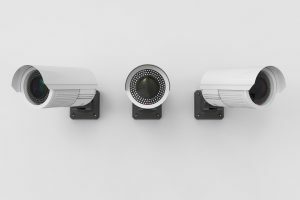 Whether you need to start from scratch or simply have a CCTV system that needs updating, AJ Taylor can offer you the perfect security system for your needs. CCTV is a great way of enhancing security in your home or business. Not only does it allow you to keep a watchful eye on your premises – more importantly – it acts as a visual deterrent for potential intruders thinking of entering your property. Whatever your CCTV requirements, we have the technical resources and expertise to professionally install a wide range of high quality security systems to suit any budget.